Now, let’s be honest, you hear someone’s got a Hyundai and your immediate line of thought isn’t, no way bro, lets drop what we’re doing and you can take me for a spin in that man house of a car. I like Hyundais as much as the next guy, but I’m not going to buy myself a Hyundai i10 poster to stick on my bedroom wall. Also I think it is important that we acknowledge the fact that Hyundai still hasn’t apologised for creating the Hyundai Atoz, but maybe, just maybe we will finally let them off the hook, after we have seen their latest project…… the Hyundai Genesis. Now if you came over and told me you were driving a Hyundai Genesis I would be excited and intrigued mainly because, well, it doesn’t look like a Hyundai. It looks more like an Aston Martin, and that’s always a good thing. 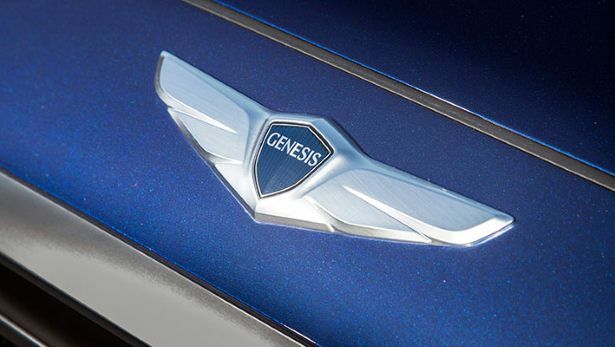 The Genesis is a limited edition Hyundai and will only be sold by select garages, costing £47,995. The Genesis has a 3.6-litre V6GDI engine and uses an eight-speed automatic gearbox. Then you get everything else you want from a car that is just shy of £50,000, an 8 inch touchscreen, an advanced infotainment system and a whole bunch of other stuff you don’t really know how to utilise, but can list off to impress your mates in the gym: ‘oh, you don’t have a CO2 cabin sensor in your car? Good luck with that bro’. You also get four cameras which give you a 360 degrees view all the way around the car. Making spying on honeys on the curb side a lot easier and less dangerous. You might not be be able to afford to buy your Aston Marin dream car, but the Hyundai Genesis looks like a nice equivalent.